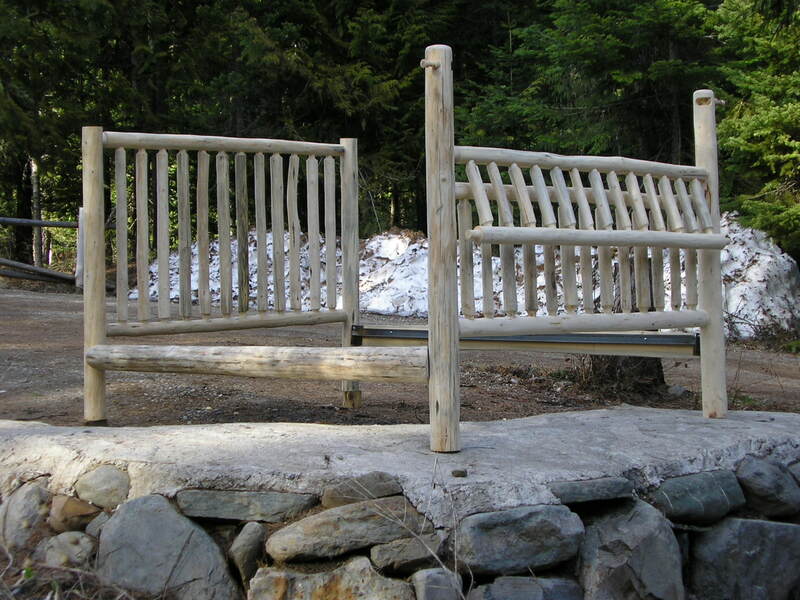 Most of these items are exclusive only to Montana Custom Log Furniture! We either designed, created, invented, or developed them before any other craftsman, or we are one of a small handful of craftsmen that are producing them at all. 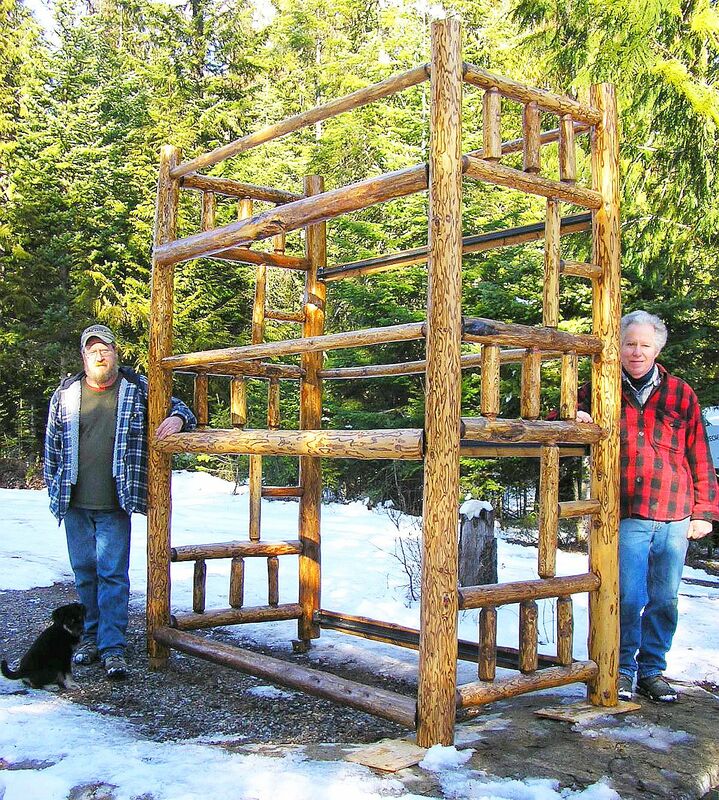 We built the first Log Crib, but there are several others who are now producing them. 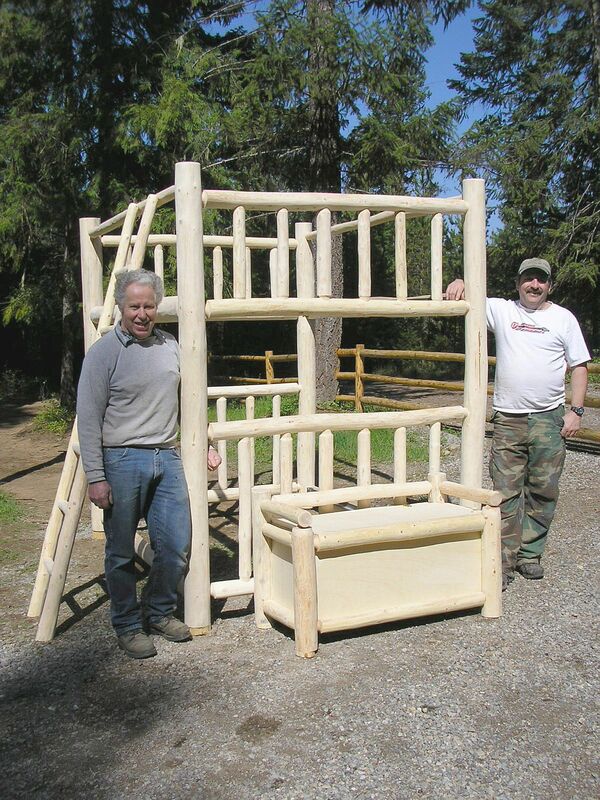 We developed the first ever Convertible Crib, and there are no other craftsmen that are building it as of this time. There are only a couple of builders who are able to create the High Chair, the Triple Bunk, the Queen Over Queen Bunk, and several other items that we are famous for. In a few weeks we will presenting the first and only Baby Bassinet, so come back to check it out the new pics when we are done with the research and development of this gorgeous new item! Three beds for the price of one! 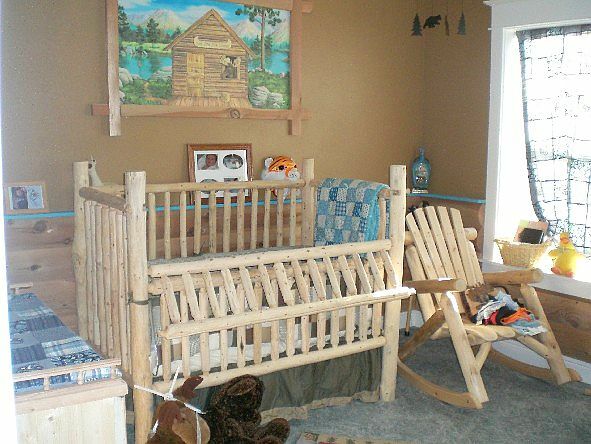 Your child will not need another bed until he goes off to college or gets married! If you were to buy all three of these beds, it would cost well over $1300.00, but you can get the Convertible Crib for only $795. 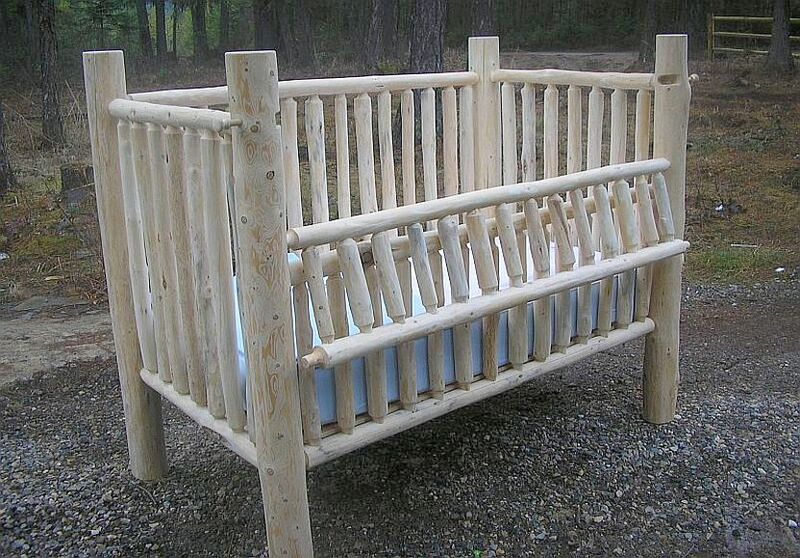 We also have matching Changing Tables, High Chairs, Cradles, Bassinets, Hope Chests, Toy Boxes, Rocking Horses, and any other Baby furniture that you might need. We have an awesome multiple item discount that will literally save you hundreds of dollars off our regular low prices! 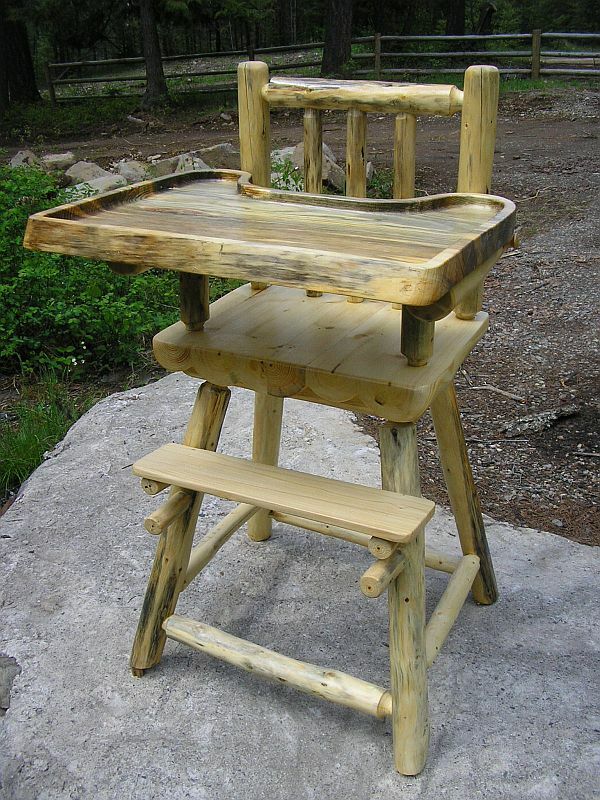 Adorable Log High Chair features one-piece, adjustable, locking tray, foot rests, and safety belt! Baby Changing Station features 3 large drawers, 2 wide shelves, and an upper security rail and raised front bumper (log). 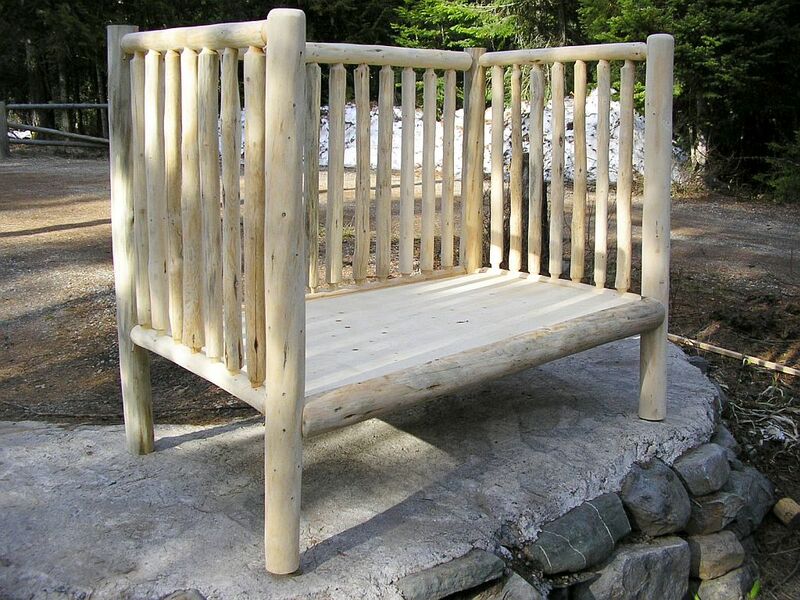 It is constructed sturdy and is versatile enough to be used in the bedroom, bathroom, kitchen, dining room, or even as an entertainment center after the baby is grown! 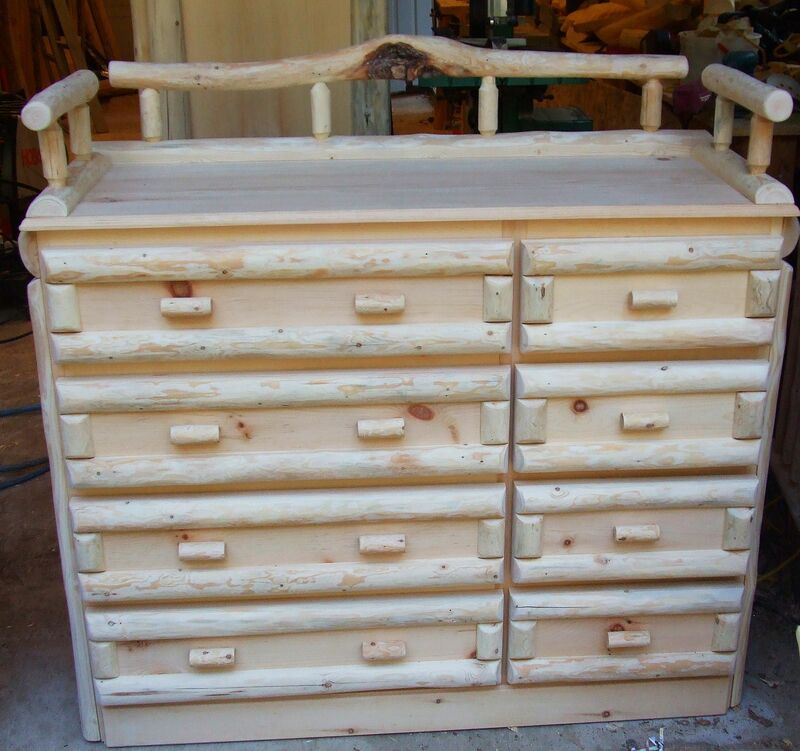 This bureau features 4 large drawers and 4 smaller drawers that will help store the baby’s necessities, but it will also go great in the dining room as a buffet table, in the bedroom, or even the bathroom once the baby no longer needs it! 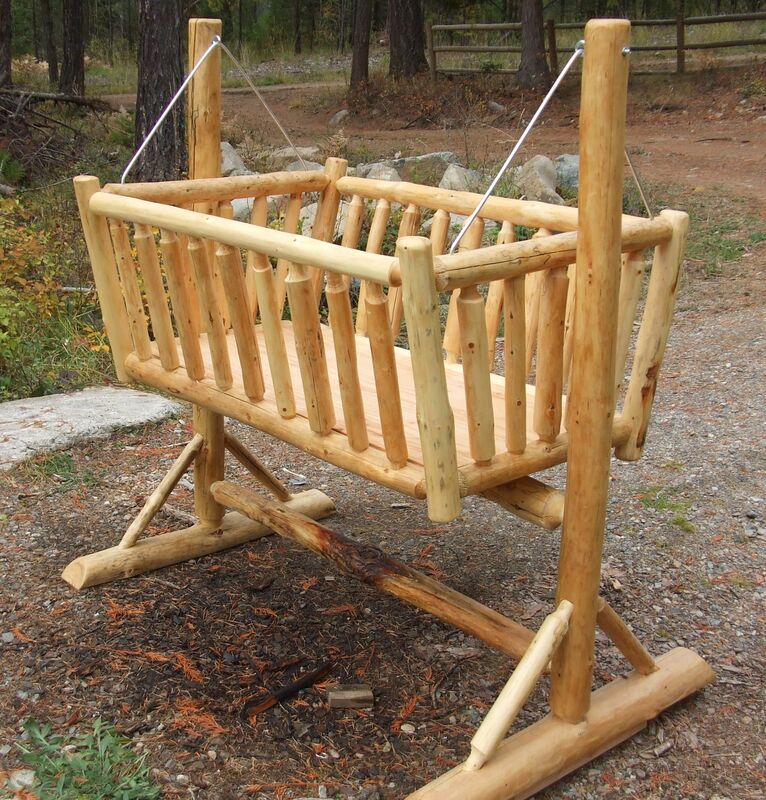 Triple Twin Log Bunk beds! Wowww! Our Triple Twin Bunk Bed is an attention-getter! It features three twin bunks stacked high! A minimum of 9 foot ceilings are recommended! Pack ’em in, and stack ’em deep! The guys are shown for perspective on just how big they are (same goes for the upcoming Queen Bunk). Another Monster, our Queen Over Queen Log Bunkbed! Our Queen Over Queen bunk is a very handsome and impressive behemoth, but it will sleep 4-6 in a fairly small amount of space! 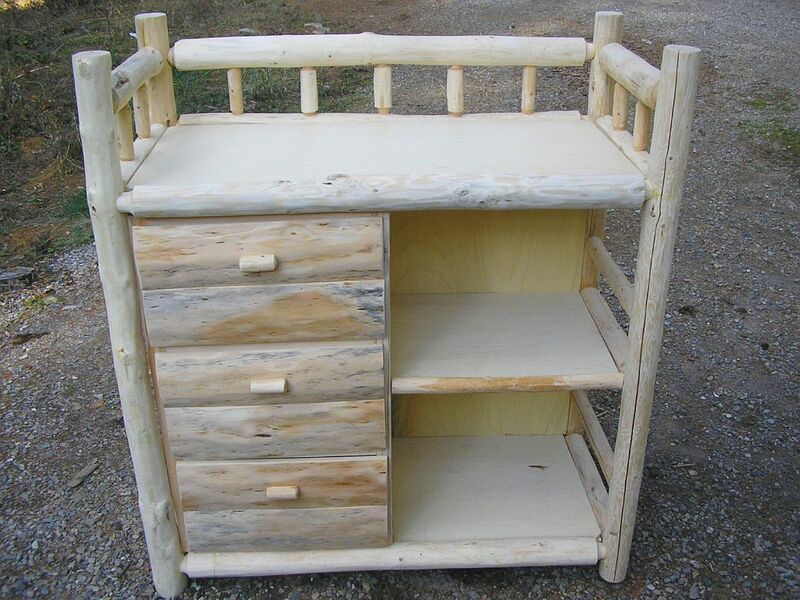 It is designed to be separated easily to convert into 2 separate Queen beds, if you so desire! Or we could just build the ladder into the head and footboards to conserve the space that the ladder consumes in the usable floor space, but that would mean that you couldn’t convert it to 2 separate beds later. More unique and original items to come very soon! Please check back later! Thanks!